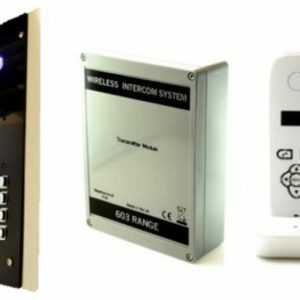 This easy to install, modern and stylish AES wireless audio intercom kit is ideal for residential or commercial properties with a single entrance. It is a reliable system and is vandal resistant. Door/gate release button to open the door/gate. The long range wireless technology means that there is no need for expensive wiring thoughout the building. Available with (603-ABK) or without keypad (603 AB). 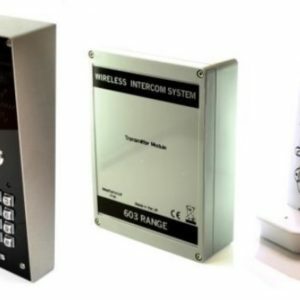 This easy to AES Wireless Audio intercom kit is ideal for residential or commercial properties. This is a flush fitting model for a sleek finish, designed to fit into the wall. It is vandal resistant and is a modern design. The wireless technology means that there is no need for expensive wiring thoughout the building. 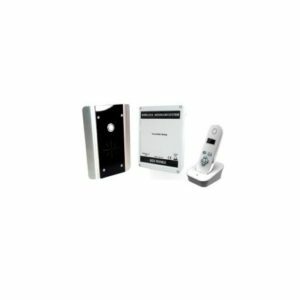 This easy to set up and install AES audio wireless intercom kit is ideal for residential or commercial properties. It has a long working range and can operate up to 4 handsets per intercom. No need for expensive wiring.